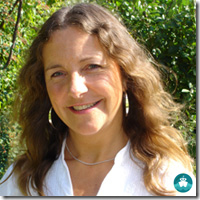 Glynda Easterbrook is a geology graduate of Imperial College, London, an Associate of the Royal School of Mines, a Fellow of the Geological Society and has an MA in Education. She started her career as a mineralogist for the British Geological Survey. She has just recently retired from the Open University where she worked as a Curriculum Manager in the Science Faculty, having responsibility for a wide range of Earth Science courses. She has over 30 years of experience teaching geology to OU students and at geology residential field schools. She has been an academic advisor to the BBC, working with them on several TV series including �Journeys to the centre of the Earth� and �COAST�. She is the co-author of two OU books about geology and has appeared on several OU programmes, including an episode of �COAST�. Glynda also lived in Hong Kong for four years where she worked for the University of East Asia, the forerunner of the Open University of Hong Kong. Glynda is extensively travelled and has visited a wide variety of places of geological interest. She is an enthusiastic supporter of local geological activities, offering outreach, training and advice to amateur enthusiasts involved in geo-conservation and museum projects. She gives accessible and entertaining talks on geological topics to local clubs, professional groups, schools and amateur geological societies. She is a Vice-President of the Oxford Geology Group. She has also lectured for the cruise ship industry since 2010. As a past President of the Huguenot Society of Great Britain and Ireland, and a recent Trustee of the Huguenot Museum in Rochester, Kent, she is also an expert on the history and heritage of the Huguenots, French protestants who fled religious persecution in France in the 16th and 17th centuries, and from one of whom she is descended. Plate tectonics is the scientific theory that describes the large-scale motion of the Earth�s lithosphere. The model is based on the concepts of continental drift, developed in the early 20th century. This introductory talk will focus on the science of plate tectonics and its influence on the nature and distribution of volcanoes and earthquakes around the world, both historically and to the present day. Although the ~1630 BC eruption of Santorini is accepted as one of the most explosive events in historic times, it is only one of a series of such eruptive events. This talk will concentrate on the geological history of this spectacular volcano, and how this may have contributed to the demise of the Minoan civilisation. Though currently dormant, Vesuvius is the only volcano on the European mainland to have erupted within the last 100 years. This talk will illustrate how modern geological knowledge and ancient writings help unravel the devastating volcanic events that destroyed the Roman cities of Pompeii and Herculaneum. Etna is the largest active volcano in Europe and one of the most active in the world. This talk will focus on what current scientific investigations reveal about the inner workings of this volcano and how this might assist the prediction of, and alleviation of hazards posed by, volcanic eruptions. Iceland sits astride the Mid-Atlantic Ridge, and as recent eruptions have shown, remains volcanically active. This talk will focus on the geological processes that have formed Iceland and the volcanic features and products that ensure Iceland�s continued attraction to scientists and tourists alike. Iceland/New Zealand is a country of great contrasts � freezing ice-sheets and glaciers overlying volcanic landscapes with bubbling hot mud pools and spectacular spouting geysers. This talk describes the relationship between these dramatic phenomena and the geological reasons for their existence. The Canary Islands are the only place in Spain where volcanic eruptions have been recorded in the recent geological past. They are located on the �Canary hotspot�. The Portuguese islands of Madeira, a massive shield volcano, and the Azores, a chain of volcanic islands, were similarly formed by hotspot activity. This talk will focus on the processes that created these islands and their associated volcanic features, with particular reference to ports of call to be visited. The Pacific Ocean is the home of some of the most explosive volcanoes in the world. The reasons for this are related to the complex movements of the tectonic plates forming the outer layer of the Earth�s crust. This introductory talk will focus on some of the most famous examples from Indonesia, Japan and the Philippines, New Zealand and North and South America. This iconic, but often mis-named, volcano is one of the most famous in the world. Its eruption in 1883, and subsequent associated tsunami, was one of the first to be documented and described across the world �as it happened�. The remnants of this terrifying volcano are still bubbling and boiling today. This talk will begin with a history of the famous 1883 eruption and its devastating aftermath, followed by a summary of current ideas as to the likelihood of a repeat performance. The Eastern Caribbean is a complex region of intense earthquake and volcanic activity. Earthquakes are common and the volcanoes, though less frequent, are typified by the most dangerous of eruption styles, the pyroclastic flow. This talk focuses on the cause and effects of this seismic activity and these violent eruptions, with reference to notable examples from the historic past to the present day. Cyprus is the result of collision of two massive tectonic plates, with huge slices of ocean crust being thrust upwards onto land forming the Troodos mountains. These have been a source of great mineral wealth throughout the ages. This talk will give a simple introduction to the complex geological history of Cyprus, with examples from sites to be visited on shore excursions. The coastline is a dynamic environment shaped by the forces of nature such as wind, waves, tides and currents. These processes are so inconspicuous on a day-to-day timescale that their importance is often underestimated. However, spectacular coastal scenery is also importantly related to rocks and other related geological features. This talk will focus on how different coastal landscapes are formed and the characteristic features produced, illustrated by specific examples from places to be visited. 14. Ice ages and scenery in the British Isles / Scandinavia. About two and a half million years ago, global cooling first affected life in Northern Europe, heralding the onset of what is commonly known as an ice age. The cooling was not continuous and was interspersed with warmer periods, but eventually huge ice caps were formed. These events shaped the spectacular scenery that we see today in the Highlands of Scotland, the Lake District, North Wales, Sweden and the Norwegian fjords. This talk will focus on the processes that shaped these landscapes and the spectacular features produced, many of which remain to the present day. Ice ages have occurred throughout the Earth�s 4.6 billion years of history, yet it is the most recent �Great Ice Age� that has captured the imagination. During this last ice age, over a third of the Earth was covered in ice, but even during this time there were periods when temperatures rose. This talk will introduce the evidence for this important period in the Earth�s history and discuss some of the ideas as to its cause and effects. The spectacular scenery of Scotland owes much of its character to its complex geological history, from the collision of ancient continents, creating the Highlands, to their splitting apart, giving rise to the volcanoes and ancient lava flows that have shaped the Western Isles. 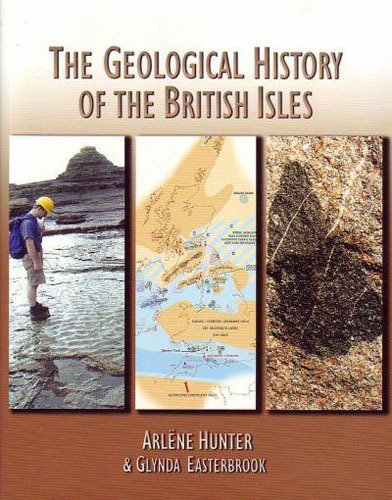 This talk will summarise the most important periods of Scotland�s geological past, illustrated with well-known examples that reflect these dynamic times. 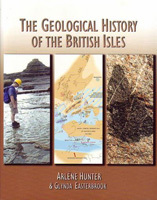 Britain has one of the most interesting geological histories of all places on Earth. The modern theory of plate tectonics explains how two separate continents, separated by a wide ocean, came together some 500 million years ago, later drifting northwards from the Southern to the Northern Hemisphere. This talk is intended to give a simple introduction to the processes that drove this journey, giving rise to a huge variety of rocks that represent tropical, desert, temperate and glacial climates. Minerals are naturally occurring chemical compounds that occur in a huge variety of forms, from shapeless lumps of amber to beautiful amethyst crystals. The most precious minerals are those forming the gemstones. This talk will introduce and illustrate how different minerals are formed, how they may be identified and why they are useful to us in so many different ways. Approximately 75% of the Earth�s surface is covered by ocean, beneath which lies solid ocean crust. The remaining Earth�s surface comprises huge masses of continental crust. The North Atlantic is a relatively young ocean, formed some 60 million years ago, when one such continental mass began to split apart, fuelled by energy stored in the Earth�s interior, and evidenced by volcanic activity at the Earth�s surface, in the process known as plate tectonics � one of the great scientific discoveries of the 20th century. This talk introduces the theory of plate tectonics and the evidence that can be observed today, both for volcanic activity in the past and for its continued influence in the North Atlantic, with particular reference to examples from places to be visited during offshore excursions. To the uninitiated, they may seem like just a �pile of old stones�. However, careful study of the rocks beneath our feet can tell us a huge amount about the exciting history of the world around us. This talk will introduce the many different rock types, how to identify them and how they may be used to interpret the geological environments in which they were formed. A fossil is any evidence of ancient life, preserved within the materials that make up the Earth, usually sedimentary rocks, but also natural tars and resins, ice or even lava flows. Body fossils preserve the bodily remains of animals and plants, and trace fossils preserve evidence of their activity, such as tracks or trails. However not all fossils represent extinct organisms; a wide variety of forms alive today are also known from the fossil record. This talk will introduce the major fossil groups, how they may be identified and what they can tell us about the ancient environments in which they lived. Since early times Man has pondered the origin of the Solar System, in particular the origins of our nearer neighbours such as the Moon and Mars. This talk will focus on what we so far know of the Moon and Mars, and how studies of meteorites that have fallen to Earth enable us to piece together the complex history of formation of our own planet. Climate change is not just a modern phenomenon � there are periods of Earth history when the climate has been quite different. How do we know this? This talk will focus on the evidence for environmental change contained in rocks, and the controversies surrounding use of this evidence to predict what may or may not happen in the future. A landscape may be viewed as a thing of beauty, a source of mineral wealth, water or a potential building site. We may simply wish to understand why soils can be so different, why a waterfall or spring line occurs where it does, or why there are steep hills in some places and flat valleys in others. These are just a few questions that may be answered with reference to the geological map. This talk will introduce the history of the development of such maps, why they were produced and how they may be used to understand the countryside in which live or in the places we may visit. The volcanic islands of French Polynesia are situated in the middle of an otherwise volcanically inactive tectonic plate. The reason for this is that they are situated above an oceanic 'hotspot', originating from deep beneath the Earth's fragile crust. This talk will introduce and explain the origin of these 'hotspots', illustarted with examples from French Polynesia, as well as other parts of the world such as Hawaii, the Canary Islands and Yellowstone National Park. The Southern hemisphere was less affected by glacial activity during the last Ice Age than was the Northern Hemisphere. Nevertheless, there is still abundant evidence of dramatic climatic variation during this time, remnants of which still persist in the form of glaciers and other landscape features. This talk will be illustrated with examples from New Zealnd, South America and Antarctic. New Zealand is situated at the junction of two of the Earth's most active tectonic plates. As a result it is the site of intense volcanic activity and seismic disturbance. This talk will introduce the history of this tectonic activity, illustrated with examples from the geological past as well as more modern day phenomena. Most amber in western Europe derives from the Baltic States. Commonly known for its beauty as jewellery, it is also of interest for other reasons. This talk focuses on the origins and uses of amber, how it may be recognised and the clues it contains about its fascinating insect inclusions. This talk focuses on the complex geological history of the Mediterranean, from its origins as part of the ancient Tethys Ocean, to a time when it is thought to have dried up completely and then to have flooded again as the Atlantic reclaimed the basin, through to the present day. The spectacular scenery of the Mediterranean is the result of the interaction between the forces of nature, the rocks and other geological phenomena. This talk focuses on how these different landscapes are formed and the features produced, in particular those that may be visited during the various shore excursions. Many volcanic islands are situated in the middle of an otherwise volcanically inactive tectonic plate. The reason for this is that they are situated above an oceanic 'hotspot', originating from deep beneath the Earth's fragile crust. So-called �supervolcanoes� are extremely rare, but can occur when molten magma originating from a hotspot rises into the crust but is unable to break through it. This talk will introduce and explain the origin of hotspots and their relationship to supervolcanoes, illustrated with examples from around the world, including French Polynesia, Hawaii, the Canary Islands and Yellowstone National Park. In 1815, a cataclysmic volcanic eruption of Mount Tambora in Indonesia unleashed the most destructive period of extreme weather that the world has experienced in the last few thousand years. In the aftermath of this event, storms, drought, floods, famine, disease and civil unrest wrought havoc across the world. This talk focuses on the results of this eruption and the fragile interdependence of climate and societies, including the threat that a new period of extreme global weather might pose to us all. Movements of the Earth�s tectonic plates, and the earthquakes these produce, have long shaped and influenced the geological history of the Aegean and the Adriatic. This talk focuses on the causes of these earthquakes and how these events have been recorded, in both historic and pre-historic times. Easter Island is famous for its remarkable statues or 'moai'. This talk discusses the origins of these statues, the people who carved them and the reasons for their eventual demise. 35. The La Palma tsunami: fact or fiction? The risk of a landslide in the Canary Islands causing a tidal wave able to devastate America's East Coast may be vastly overstated. This talk focuses on the scientific evidence that surrounds this controversial issue, including an introduction to the volcanic history of the island, comparing it with other historic examples from around the world. The Oracle at Delphi, the Minotaur of Knossos and the Cyclops of ancient Greece are just a few of the ancient myths that may have their origins in real-life geological events. This fascinating talk will delve into the science behind some of these ancient stories. The eruption of the Lakigigur fissure in Iceland in 1783 had devastating consequences for the people of Iceland and indeed the rest of Europe. This talk includes the history of the eruption, documented by contemporary writings, and its aftermath. With recent spectacular discoveries in Siberia, the USA, Britain and France it is now more possible than ever to piece together a more complete story of the mammoth. This talk will include the history of the origins, life and eventual extinction of a creature that holds a special, mystical place in the human imagination. 65 million years ago, the dinosaurs and their relatives ruled the land, seas and skies, until a series of natural disasters led to their dramatic extinction. This talk focuses on the lives of these gigantic creatures and the possible reasons for their eventual demise. The Hawaiian Islands have a dramatic history of volcanic eruptions, landslides and erosion. Kilauea volcano on Hawai�i (�Big Island�) is today the most active volcano on Earth, and is one of over 80 volcanoes forming the Hawaiian Ridge. This talk will summarise the geological history of the Hawaiian Islands and introduce and explain the volcanic and other landscapes that you are likely to encounter on trips ashore. 41. Madeira: an island of scenic contrasts. Madeira is the largest of a small collection of volcanic islands in the Atlantic Ocean. This talk will focus on how their fiery beginning, climate and history have influenced the spectacular scenery and lush vegetation that we see today. The geology and history of gold and diamond exploration in southern Africa. The Canary Islands are the only place in Spain where volcanic eruptions have been recorded in the recent geological past. They are located on the �Canary hotspot�. This talk will focus on their volcanic history, the processes that created these islands and their associated physical features. An introduction to their nature, formation and distribution, both in the present day and in the geological past, and the threats to their continued existence. An introduction to the geology and history of the North Sea and the associated formation of oil and gas reserves. An introduction to the landscape, geology and glacial history of the fjords of Scandinavia /South American/New Zealand. Greenland contains some of the oldest rock on the planet, though only one-fifth of the island is exposed, the rest being covered by ice. This talk explains why Greenland is so significant in the study of the Earth�s geological history, including more recently when connected to the British Isles before the opening of the North Atlantic Ocean. The Galapagos are some of the most spectacular and unspoilt islands in the world. This talk introduces their amazing volcanic and evolutionary history, and how study of them enabled Charles Darwin to formulate the ideas behind his world-famous work �On the Origin of Species�. Rising sea levels are now a much discussed topic when considering recent climate change. However, throughout geological history there have been not only rises, but also falls in sea level, these not always the simple result of changes in the climate. This talk considers the various reasons and evidence for sea-level changes in the geological past, and how this may have influenced modern scientific ideas. About 450,000 years ago, a giant river released from a huge glacial lake, in what is now the North Sea, carved its way through a land bridge connecting the Weald of southern England to northern France, creating the English Channel. This channel was deep enough to form a natural barrier isolating Britain from the rest of Europe when sea levels rose in warm periods between the various ice ages of the last 500,000 years. 51. The geology of Oman. The geological history of Oman spans 825 million years, including at least three periods when the country was covered by ice. Some 80 million years ago Oman was located adjacent to a tectonic plate margin when large fragments of ocean floor were thrust over the continental crust, forming important mineral deposits. The interior plains of Oman are of younger rocks which host important hydrocarbon resources. Ancient salt, which comes to the surface in several in several salt domes, plays an important role in forming many of these oil and gas accumulations. Now located on the Arabian Plate, Oman is currently being pushed slowly northward, as the Red Sea grows wider. 52.Deserts of the Middle East. The word �desert� conjures up an image of vast areas of sand dunes, but this is only one of several environments found in modern and ancient deserts. This talk will introduce the various characteristic features found within the desert environment, with particular reference to those found in the Middle East. 53.The Red Sea: an opening ocean. The Red Sea is a relatively young waterway, formed as the Arabian peninsula split from the Horn of Africa by movements spreading outwards from the Red Sea Rift, an extension of the Great East African Rift Valley. The sea is still widening, and over time will probably become another ocean. This talk will introduce the concept of plate tectonics and how this relates to the formation of such new, young oceans. An introductory talk about the natural forces that drive the motions of the oceans. The Huguenots were French protestants who fled religious persecution in France in the 16th and 17th centuries. Many fled to Britain and Ireland, but others fled to Holland, Germany, Switzerland and eventually South Africa and the United States.This talk will introduce the history of Huguenot persecution, migration and eventual integration into the societies of their adopted countries. When the Huguenots arrived from France in the 16th and 17th centuries, they brought with them a wide variety of skills such as silversmithing, silk weaving, furniture- and jewellery- making, and a Huguenot legacy can be found in banking, insurance and other mercantile pursuits. This talk will focus on the influence of the Huguenots and how their legacy is still recognised today. 57. Tracing your Huguenot ancestry. The Huguenots were great philanthropists, the rich often helping the poor, establishing their own churches, schools and even a hospital. They kept great records and their role in the armed services, the church, government, literature, science and the arts is well documented. Today, at least one in six British people is thought to have Huguenot blood, and this talk will focus on the unique resources that are available for tracing a Huguenot ancestor. I have been lecturing on cruise ships for the last 8 years, during which time I have completed 29 cruises, including sectors of world cruises. In 2017 I had 6 cruise appointments with Fred Olsen, SAGA, P and O and Crystal. In 2018 I had 5 cruise appointments with Fred Olsen and SAGA.